Apple is already #1, and now they go after Samsung,being #1 in the cell phone/tech world is not good enough for them and I'm sure there products are similar to others that came out first.Apple equals greedy,glad I went with Andriod when I bought my cell phone and tablet. That explains it, jeffrey. 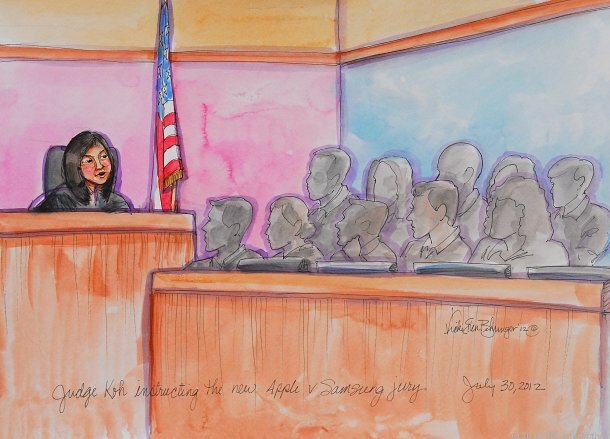 remember when judge koh told apple they smoked crack? Yeah, guess what! She has an asian background! There's a lot of chatter on current forums and Google+ about this very subject. It will be interesting to see how things unfold over the next six months or so. If anything, I'm sure that Samsung aren't going to let this go and even if they have to pay the billion dollars they'll work on a strategy to recoup it (more expensive cost to Apple for making their parts?) Even if this doesn't happen, Samsung will not take this lying down and will double their efforts to outdo Apple whenever possible. as an aside,I read a humorous blog about a guy who was using his Samsung notebook in a coffee shop and overheard a lot of customers commenting about the case.what they were effectively saying was that the verdict showed that there's not a great difference between Apple phones and Samsung...except that the Samsung ones are cheaper. They felt that Apple has been screwing them big time in price structure not only on phones, but computers as well. The blogger concluded that it could well be the best money Samsung has spent on advertising.